It's now come to the big day on my chair makeover project. Upholstery. It's a big day and long one. There are plenty of blog, books, and how to articles out there for upholstery. I'm only going to give you an overview of what I did along with a few tips. My mom helped me with this part as she has upholstery experience. This first task was to redo the seat of this chair as it was lacking it's original support. I used jute webbing. There is a tool specifically for helping to pull the jute taunt. I didn't want to spend the money on one so I used a scrap 2 by 4 and applied the same principle at the special tool. You will use a lot of upholstery tacks so make sure you buy more than what you think you will need. I covered the jute with 1 inch of foam and a thick polyester batting. The foam was cut cover the seat only. the batting is bigger and will wrap around the frame. This chair has a loose cushion. I used 3 inch foam wrapped in batting. I used perle cotton thread to whip stitch the seams of the batting. Okay here is something major important. You do not want the cover for your upholstery to be loose. I see this on design shows all the time. You want it to fit very, very snug. I marked my fabric with the shape of my foam. I then added a 1/2 inch to 5/8 inch seam allowance. That's it. Over time the foam and batting with compress and a wrinkled cushion is unattractive. This is snug as you see here it doesn't seem like my side will fit but trust me it will look great. I wrapped my cushion with a plastic garbage bag. This make it easier to put it in the snug fitting cover. I removed the plastic bag before stitching the seam closed. The upholstery on the chair itself was pulled tight. You work opposite sides. Front the back, left then right. Depending on the shape of the item you may have to work in pleats in strategic places. Cut away excess fabric in small amounts. you can't place it back but you can remove more if you need to. The green fabric was faded and not fit for another project so i used it for my dust cover. find someone to help you. 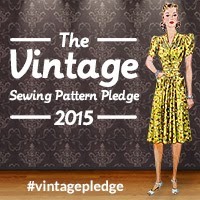 Hopefully someone who has done upholstery or sewing work before. It's great if you can have an extra set of hands to help hold the fabric. a day when you feel confident and not overly stressed. You might have some frustrations along the way. Finally for the part you have been waiting for the final results. Meet my next big project. It is the repaint on a Singer 221 Featherweight. According to the serial number this particular machine was made in 1953. I purchased it at a garage sale several years ago. It is fully functional aside from a few minor repairs. The biggest issue is the finish of this machine. It's original finish is in sad shape and it's lost most of it's decals. It needs a makeover. I had already removed some parts in order to access areas that required repairs. The Singer Featherweight was introduced in 1933 at the World's Fair. In was revolutionary with it's compact light design. It only weighed 11 pounds so it is easily portable. It is believed that Singer sold 3 to 3.5 million of these machines during production. They are model 221 and 222k The 222k was made at the Kilbowie factory in Scotland. Most of them are black like my machine but white was made for a few years and there are even rumors of a few mint green ones having been made in Scotland. These are a popular machine even today. They may only do a straight stitch but they do it extremely well. My plan is to take this machine partially apart, clean/sand it, and repaint it. Apply new decals. Since I am repainting it's getting a new color. That is a great book for regular maintenance and beyond for the Singer Featherweight. 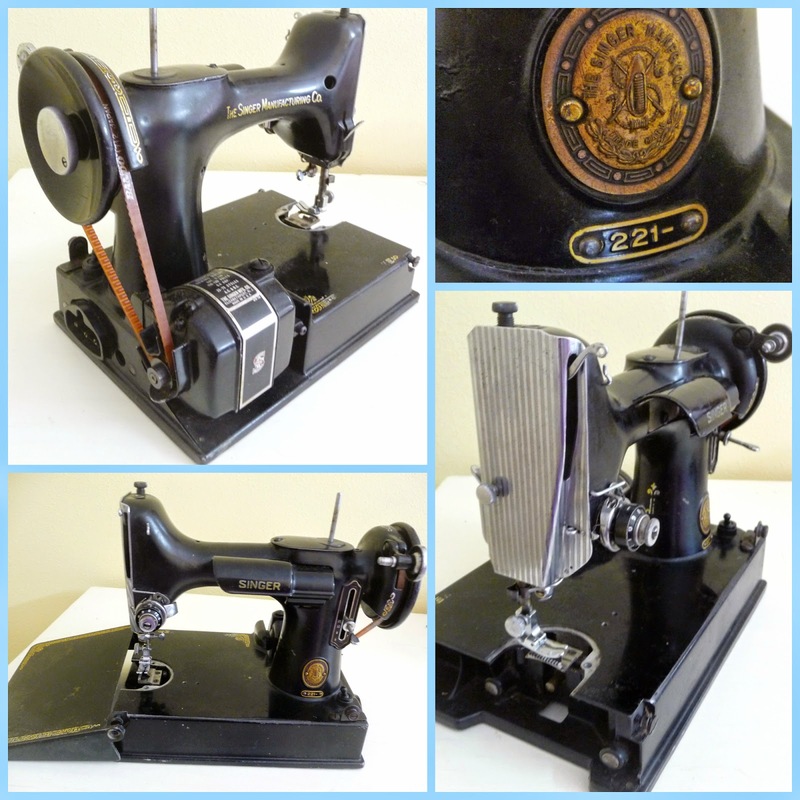 Many of the principles can be applied to other all metal vintage sewing machines. After I sanded and cleaned up the chair; I had to paint it. I started with a coat of primer. I choose to only primer the bigger areas and to leave the wicker areas alone. For one thing it's difficult to paint the wicker and it's rougher texture than the other wooden areas of the chair. This is after two coats of primer. It took 3 light coats of the colored paint to get a nice even coat. The wicker areas still look uneven but that has something to do with the angle of light. I'm not worrying about it. The next step is upholstery.